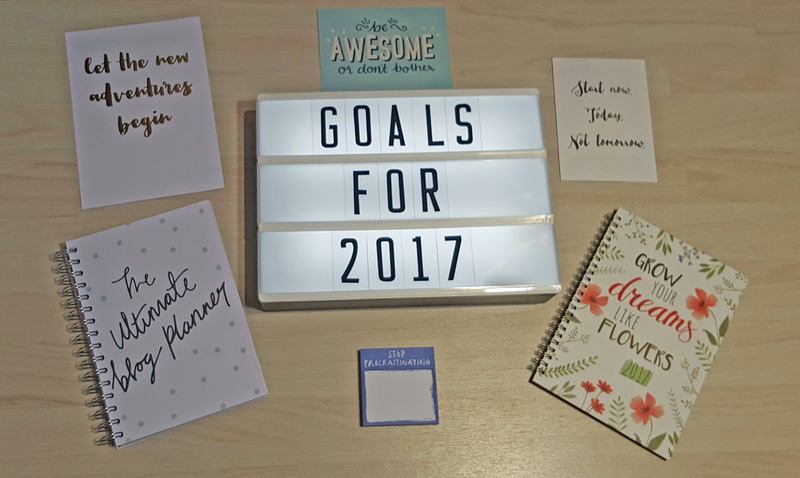 Goals for 2017 – and a giveaway! I didn’t really set any new year’s resolutions for the last couple of years – I just wanted to focus on being a good mum. 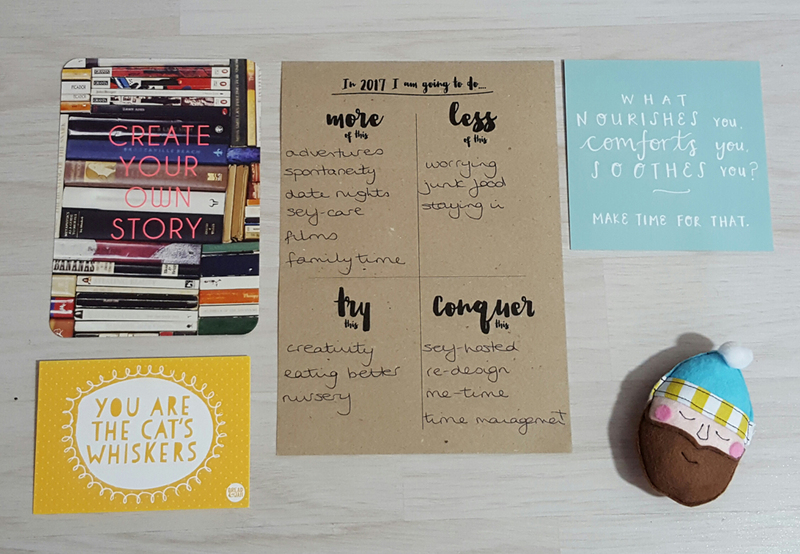 Now I feel like I’ve settled into the working mum routine and it’s time to focus on myself a bit more. 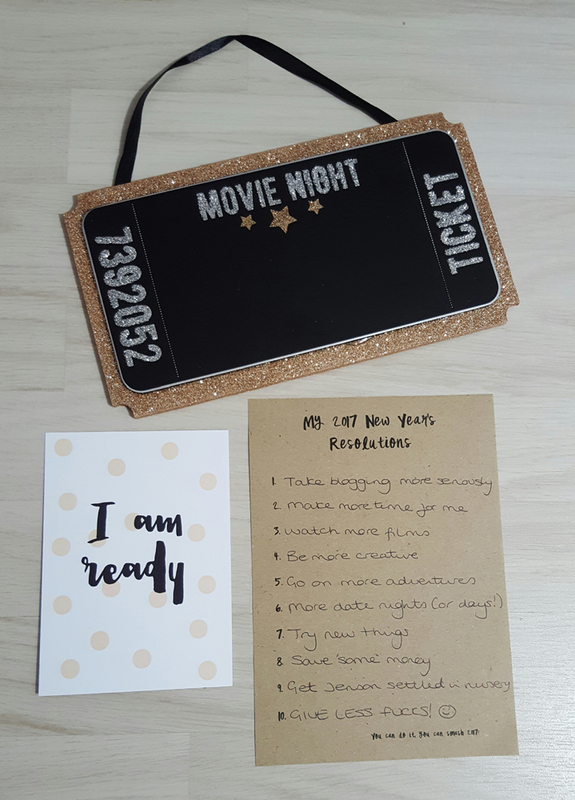 In my latest Box of Lame (more on that in a couple of days), I received some great prompts for what I want to achieve in the new year. It’s so easy to think about things that you want to give up and forget about what you want to try and do more of. One of the templates was for ten resolutions and I really only have two or three solid ones. The rest are more things that I want to do more of, such as go to the cinema and more date nights. I also want to get Jenson settled into nursery but hopefully that’s a given. My two main goals for the year are to practice more self-care and to grow this blog. Hopefully I can do all of this by Easter, funds allowing (plus I really need the extra space! ), and maybe even start earning by the end of the year. I don’t want to sound like my life is hard but I’m pretty exhausted and don’t get much time to spend doing what I want to do or relaxing. I only work 17.5 hours a week over three days but I spend four hours a day just travelling to and from work. When I get home I spend some time with Jenson, have dinner and put him to bed. Depending on if/when he naps, he goes down anytime 8-11pm. Once he’s asleep I tackle the laundry and the dishes before either catching up on the blog or going to bed myself. Come Wednesday night (I work Monday-Wednesday), I’m so exhausted that I normally fall asleep on the sofa before Jenson goes to sleep. On the days where I don’t work I spend every second that Jenson is awake with him. If he naps while we’re at home, I get the housework done so that I can ‘relax’ in the evening. I usually get posts scheduled on these evenings. One day a week I get a proper lie-in but it’s normally preceded by an exhausted early night, so I use this lie-in time to do the writing that I wanted to do the night before. Man, I’m knackered just writing about it! I think I’ve had two solo baths since Jenson was born and it’s not often that I can stay awake for a whole film in the evening; it took me six months to watch Gilmore Girls! Suffice it to say, I don’t really know how to relax anymore. And that needs to change. My third and final resolution is to give less fucks! ‘Scuse the swear but I think it’s another thing (along with self-care) that a lot of us could do with trying. I’m pretty good at not dwelling on things that I don’t have the power to change but I do care too much about what other people think and over-think. A lot. I want to try and learn to let things go more this year and worry less about other people. I also want to feel comfortable with my body. I’ve struggled massively with body image and self-esteem issues since I had Jenson and, while it would be nice to drop a dress size or two, I’m not going to put pressure on myself to do so. I’m simply going to try to eat better, walk more where possible, spend more time outdoors with Jenson and hope that I start to feel better about myself. I’m also going to stop hiding under baggy clothes and start wearing clothes which make me feel good, regardless of size. Fingers crossed! What are your plans for 2017? Do you plan to make more time for yourself and focus on your own wellbeing? Why not enter my giveaway to be in with a chance of winning some goodies to help get you started? 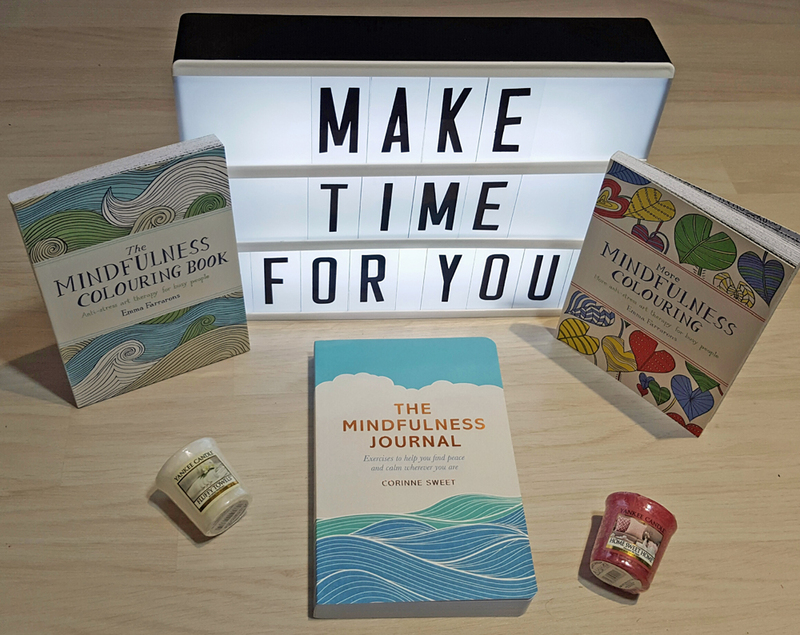 Click on the Rafflecopter below the image to win this set of mindfulness books and pair of Yankee candles. This Rafflecopter is open until midnight on Saturday 7 January 2016. It’s open to UK residents only. The winner will be notified and revealed on this blog post after it closes. The prize will be posted out to the winner. This giveaway is in no way associated with the products featured – they’re simply a gift from me to you! I hope this year will be a good year too. Wishing you a wonderful year and I hope you meet your goals too! My goals are to grow my blog and business. My personal goals are to save enough money for a holiday and travel more within the UK. Love this! I’m working on more self care and not taking myself too seriously this year too :) Best of luck to you! I’m going to resolving to be kinder to myself. I’ve been doing slimming world and have lost over 3 stone – but find it hard to recognise my success. I read an article recently about progress and setbacks. It said you should speak to yourself as you would your best friend – if they had a bad week or a hadn’t achieved what they wanted; you wouldn’t criticise them. You’d tell them how well they were doing and they could achieve anything they wanted. I’m going to be a friend to myself in 2017!